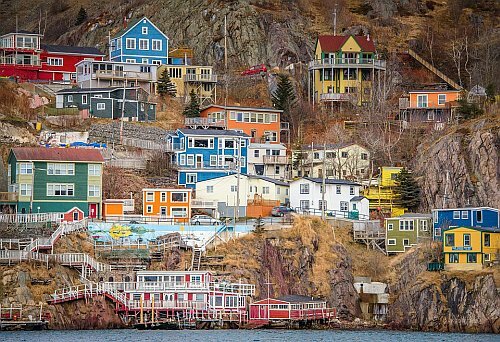 Sunwing has dropped the price of their June flights from Toronto to St. John's, Newfoundland down to $258 CAD roundtrip including taxes. You can also find vice versa trips (St. John's to Toronto) for a similar roundtrip price. - $258 roundtrip is based on 2 people purchasing the flight. Sunwing offers a discount for the 2nd seat on certain dates when purchased through their website. toronto, yyz, flight deals, sunwing, canada, north america, st johns, newfoundland and yyt. 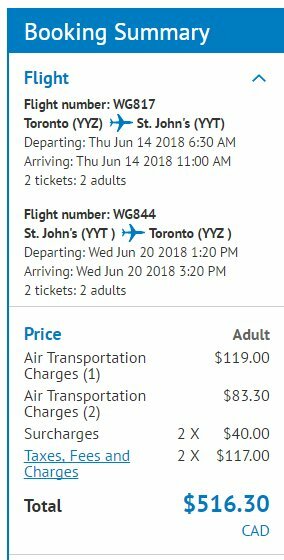 2 Responses to "Toronto to St. John's, Newfoundland - $258 CAD roundtrip (vice versa trips available)"
For these domestic Canadian flights with sunwing, is checked luggage extra? I'm assuming it is? Yep, it's pretty much identical to Air Canada and WestJet. First bag is $26, second bag is $36.